Optical Awakenings is a visually based form of meditation. This process activates the DNA to allow for natural informational upgrades. The magnification process allows these information portals found in all nature (the Akashic Records) to be seen and therefore accessed. Continual focused meditations with these images has had a profound effect on my spiritual connection, and it can do the same for you. February 14 · I received a micro picture of Ammonite for meditation, which was exactly what I needed. I told Tish to pick a picture for me and this resonated with Soooo much. I got many downloads along with guidance for expanding my healing modalities. Thank you so much this is totally what I needed. I had total faith that you would pick the one I needed the most. Tish is gifted and definitely knows her stuff.Thanks again Tish. September 19 at 9:32 AM · Tish is very in tune and wise. She is full of knowledge and is a great person who really wants to make a difference. August 5 · I received a magnified image of Brandberg Amethyst for meditation. When I first looked at the image the energy was so gentle and loving. When I used it alongside the spiritual class that I teach, the energy amplified, fully holding the group heart and inspired me to teach the class in a different and deeper way than I normally had. The class loved it. Tish has a true love of crystals and knows exactly which crystal is needed for a person, to heal or to amplify energies. I am in the process of enlarging the image for my meditation and reiki room and am so excited. 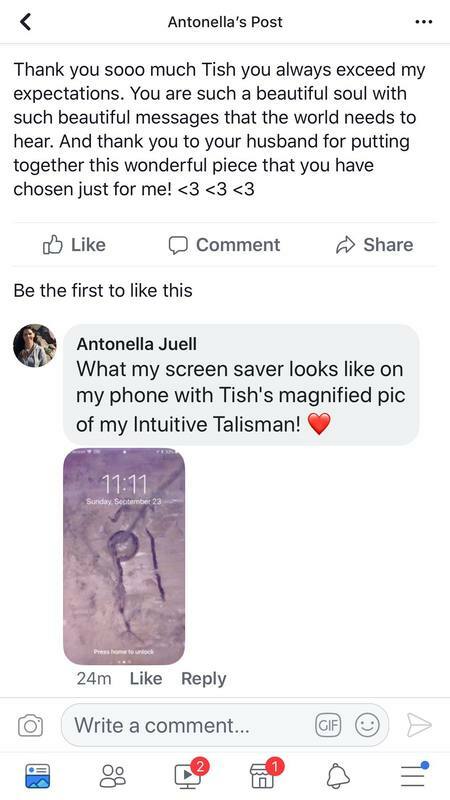 Tish is a true spirit from the Elemental realm and I am thankful that our paths have crossed. I look forward to working with Tish again very soon. <3 THANK YOU. May 3 · I received a box of beauties today. High vibe, beautiful crystals. Thank you, Tish! Your help, and follow up are much appreciated. March 3 · So grateful for what Tish with Optical Awakenings is bringing to the world. I have always been connected to the mineral kingdom and her magnified images of crystals and stones brings whole new level of awareness to the messages held within. Thank you Tish for sharing your gifts! February 18 · I had a pretty chunk of rocks for years, stuck in a drawer, I can't remember exactly which of the kids gave it to me, but I loved it..but it just sat here collecting dust. 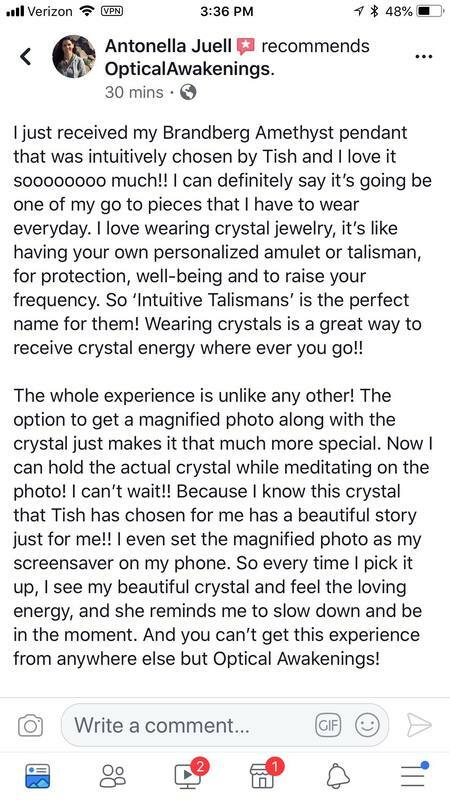 Then I met Tish - this amazing crystal scryer - and I sent it to her because it needed her. She spent some time with it and found something I'd never have found and sent me a photo that floors me every time I look at it. and to think it was sitting there, hidden in my humble chunk of rocks and crystals. Only Tish could have found all that magic in there!